Store failed to advise customers of their legal rights. Retailer Godfreys has pleaded guilty to selling extended warranties that failed to provide customers with mandatory information about their legal rights. The Commerce Commission has laid 10 charges against Godfreys, the trading name of the New Zealand Vacuum Cleaner Company, under the Fair Trading Act. The charges relate to 3202 extended warranties Godfreys sold between 17 June 2014 and 22 September 2015. The Fair Trading Act was amended in 2014 to clamp down on extended warranties being sold with misleading claims about consumers’ rights to a remedy when goods were faulty. This case is the first prosecution under the new rules. Five of the 10 charges relate to Godfreys’ failure to comply with the written disclosure requirements for extended warranties. The store not only failed to give written notice to customers of their Consumer Guarantees Act rights and how the warranty compared with those rights, it also failed to inform them of the five-day cooling-off period to cancel the warranty. The five other charges relate to Godfreys’ failure to verbally advise consumers about their cancellation rights before they bought the warranty. Extended warranties have been a lucrative sideline for retailers. Our mystery shopping of big box retailers has found these warranties have been heavily promoted as after-sales protection. However, shoppers already have this protection under the Consumer Guarantees Act. The Act requires goods to be of acceptable quality. If they’re not, the customer is entitled to ask the retailer to put things right. 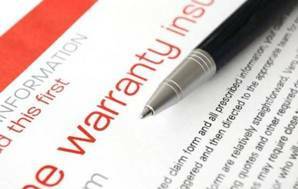 Retailers risk breaching the law if they try to sell an extended warranty by claiming you would have no protection without one. But our 2015 mystery shop found these warranties continue to be sold with misleading advice about shoppers' legal rights.